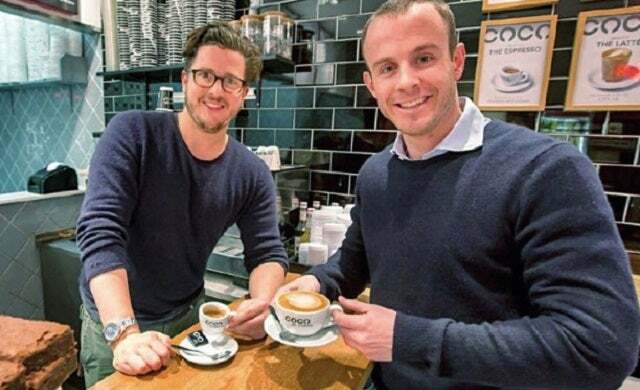 Startups 100-listed quick service Italian cafe chain purchased by Azzurri Group to "help propel rapid growth"
London cafe start-up Coco di Mama, featured in the Startups 100 index for three consecutive years, has been acquired by the owner of ASK Italian and Zizzi restaurant chains; the Azzurri Group. Launched in April 2011 by Jeremy Sanders and Daniel Land, Coco di Mama offers “quick service” Italian food and coffee and has grown to six stores across the capital with top site locations such as Fleet Street, Monument, St Pauls, and Liverpool Street. Its acquisition by the Azzurri Group – which has almost 250 restaurants nationally – will look to provide “rapid growth” and fulfill its goal of having 40 branches in the next few years. “We have watched Coco di Mama’s development from the start and I am delighted that they will be joining Azzurri.